Temple Beth Ahm is a welcoming, multi-generational, spiritual community, conveniently located in New Jersey near the border of Monmouth & Middlesex Counties, just minutes away from Exit 118 of the Garden State Parkway. We are committed to traditional-egalitarian Conservative Judaism as a meaningful way of life. Our spiritual leader, Rabbi Malik, encourages each of us to be “willing, learning, and striving” to climb up the ladder of learning and mitzvot; she enthusiastically embraces and inspires every one of us, no matter where we are on our spiritual journeys. Whether you are observing a yahrzeit, celebrating a Bar/Bat Mitzvah or other life cycle event, or just looking for a comfortable place to pray, learn, daven, socialize, or participate in social action tikkun olam activities, Temple Beth Ahm is the place to be. If you are not already a member of our shul community, we encourage you to visit and to consider joining us. Regardless of your current Jewish affiliation or background, we welcome you with open arms. A recent video put together by a local TV station interviewing our very own Rabbi Malik! Temple Beth Ahm and Sisterhood are partnering on an additional SCRIP program. SCRIP is a fundraising program that sells gift cards from national and local retailers. The retailers will pay TBA and Sisterhood a percentage of each card purchased. These are the same gift cards you would purchase at the store. You can help us earn money without spending any additional money . All you need to do is to spend your regular shopping dollars to purchase scrip. Scrip can be used to purchase many household purchases including food, clothing, health and beauty aids, gas, travel and entertainment. Also consider scrip for birthdays, anniversaries and holidays. SCRIP will enable Temple Beth Ahm and Sisterhood to maintain the high level of programming that our congregation has come to expect. To order scrip, please use the attached order form. This is just a sample of over 500 merchants. To write in any additional items, go to www.shopwithscrip.com. Make your check payable to Sisterhood Temple Beth Ahm. 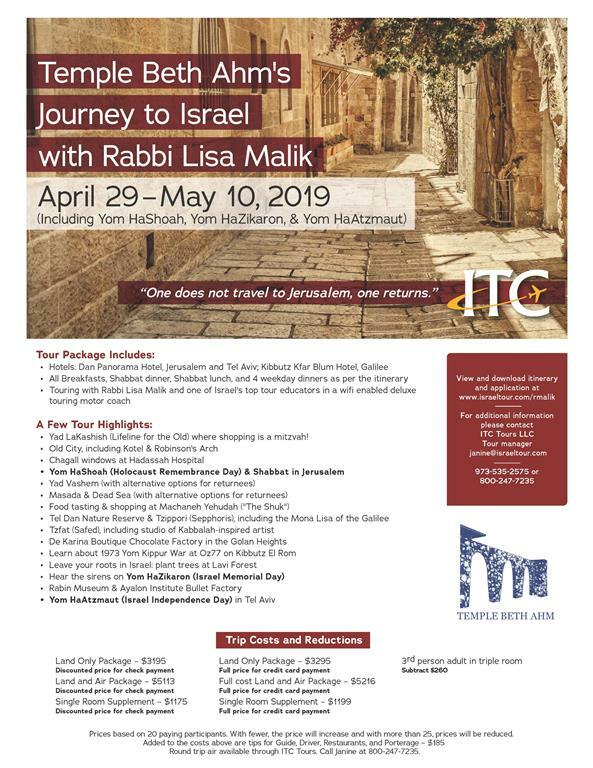 Mail your order form and check to Temple Beth Ahm Attention: Scrip. 550 Lloyd Rd. Aberdeen, NJ 07747. For questions, please contact Sindy at sindy.manas@gmail.com. Sisterhood will still continue our Shoprite and Stop- n- Shop scrip program. We keep these gift cards in inventory and to order these you can contact Amy Naphtali at amynaphtali@verizon.net or Hester Skolnik at hessy41@aol.com.